This pattern includes links to google searches to help with terms. The hair needed for this pattern is a crochet cord. There is a link that will take you to my blog where there is a tutorial on how to do it. 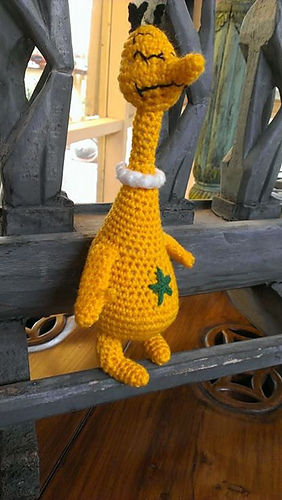 The sneetch stands at about 13 inches tall. I used a 4.25mm hook. Hook size is not important, though. Any questions don’t hesitate to contact me! I reply fastest through my Facebook page but second best is here!